Todd Lunsford is Chairman of Rocket Loans after joining the company as CEO in 2015. Previously, as an Operating Partner at Rockbridge Growth Equity, Todd was responsible for helping portfolio companies grow their business. This essentially included all aspects of a business – from helping set strategic direction, to identifying tactics needed to execute against it. Areas of focus have included leadership assessment, marketing strategies, technology initiatives, operational efficiencies and identification of future growth initiatives. Todd’s experience is based on spending the previous 13 in the family; as the President of Fathead, LLC from February 2009 through March 2011, and in various positions at Quicken Loans. An organization he officially joined in May 1997, and after spending the previous 9 years at Electronic Data Systems (EDS). 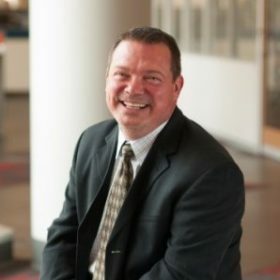 At Quicken Loans, Todd served as Chief Marketing Officer from September, 2007 to February 2009; and as VP of Human Resources and Recruiting from January 2007, to September 2007; and from August, 2000 to January, 2007, Todd served as Chief Information Officer at Quicken Loans. Some of Todd’s proudest accomplishments were helping the company transition from a brick-and-mortar operation to the web center model that exists today, along with the transition of AMP (Quicken Loan’s origination system acquired from EDS), the launch of rockloans.com, and helping build the Quicken Loans technology culture in the early days, which has lead to numerous “Best Places to Work” awards.